A perfectly structured, rich and appealing Highlands Single Malt! 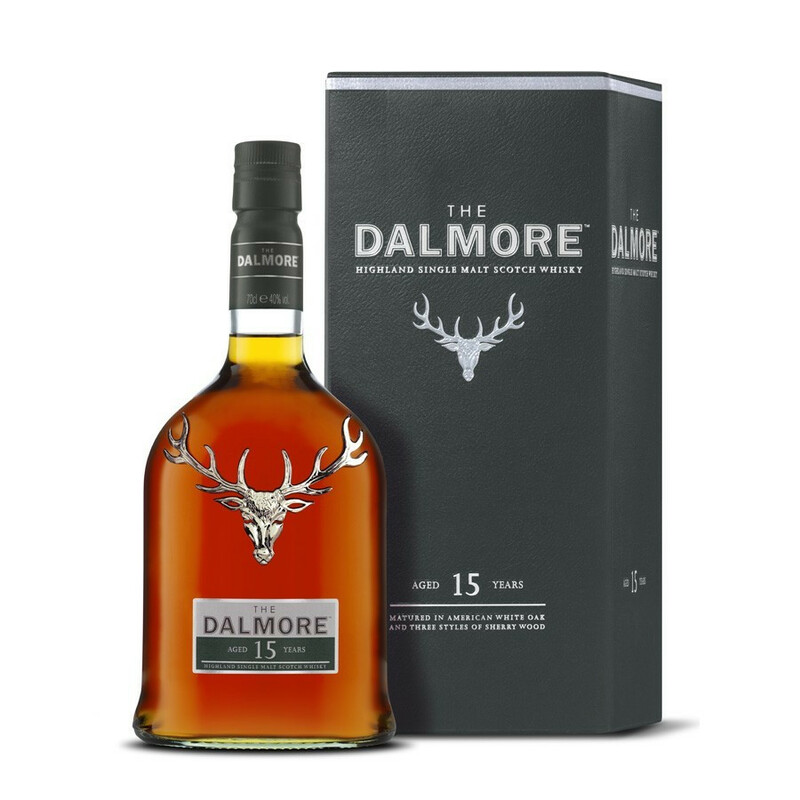 The Dalmore distillery carefully monitored every detail influencing the whisky maturation in order to craft a perfectly structured, rich and appealing expression: time, cask types and cask sizes, storage conditions. The result lived up to the expectations of the distillery. This Dalmore release aged for 12 years in American white oak Bourbon barrels before being dispatched in three different Sherry casks - Matusalem, Apostoles and Amoroso - specifically selected from Jerez de la Frontera warehouses, and left to age another three years. This Dalmore is then combined in a Sherry cask standing vertically and infuse its flavours and aromas. The fragrance of the Sherry casks brings perfect harmony between the spirit, the wood and the maturity. As such, this Single Malt is of rare elegance and standalone aromatic richness and balance. Colour: amber with golden glow. Nose: delicate and light. A subtle blend of baked peaches and apples, evolving onto notes of brioche and sourdough. Then spices, orange peels and dew-covered grass brings in freshness and subtlety. Palate: subtle, quite strong, following the nose and developing onto malt, spices (ginger, cinnamon, cloves) and a delicate biscuity taste sensation, over orange and chocolate flavours. Finish: of amazing length, tantalizing, revealing quite dense coffee notes and oaky vanilla flavours.